I use these shakes daily. The first for breakfast and a second shake post workout. Protein needs to be consumed within an hour of a workout and with carbohydrate for optimum muscle growth. 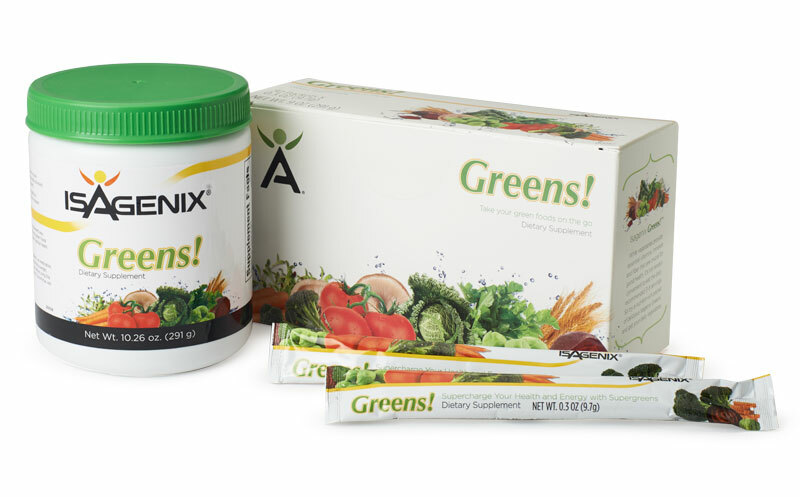 It contains 36g of protein, 21g carbohydrate, 6 g fiber, is low-glycemic, free of gluten and soy and contains vitamins, minerals, essential fats and active enzymes. 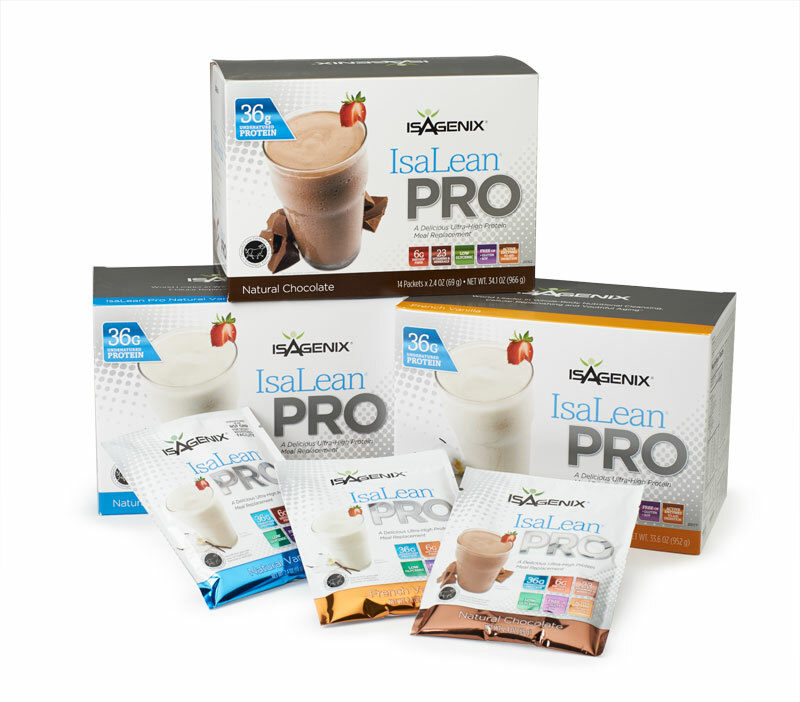 IsaLean Pro is for athletes, active people and teens who want to gain muscle and for those trying to break through weight-loss plateaus, lose stubborn belly or harmful visceral fat. It's also for adults who want to prevent age-related muscle loss. Sourced exclusively from "Cheerful Certified" grass-fed cows, not treated with hormones or routine antibiotics. The whey protein is put through an ultra-filtration process that keeps the whey intact (undenatured). This results in a superior amino acid profile, with a high concentration of branched-chain amino acids that supports lean muscle growth. This is undenatured whey protein at it's best..
2 to 4 oz per day. First shot is in the morning, some like it straight, some mix it in their shake. Second shot at lunch or dinner time. This is a nutrient-rich tonic, featuring a blend of adaptogens designed to deliver a balanced infusion of energy, stamina and immunity support. Ionix helps buffer the body from stress and improve mental performance. Adaptogens are unique plants that strengthen the body's capacity to resist and reduce stress as well as promote physical and mental performance. 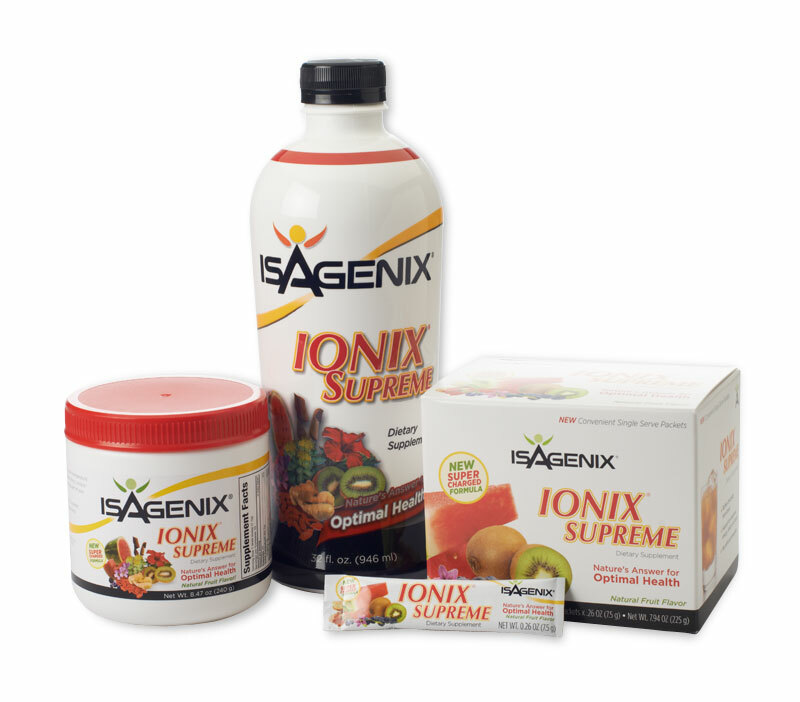 Whether you need a high-energy pick-me-up, an ally in your fight against chronic stress, or natural support for today's overtaxed immune systems, Ionix Supreme is a must. A refreshing sports drink to rehydrate, re-energize your body for performance, and replace nutrients and electrolytes that can be lost during exercise. Just 35 calories per serving, perfect for anyone, anytime. 18g protein. 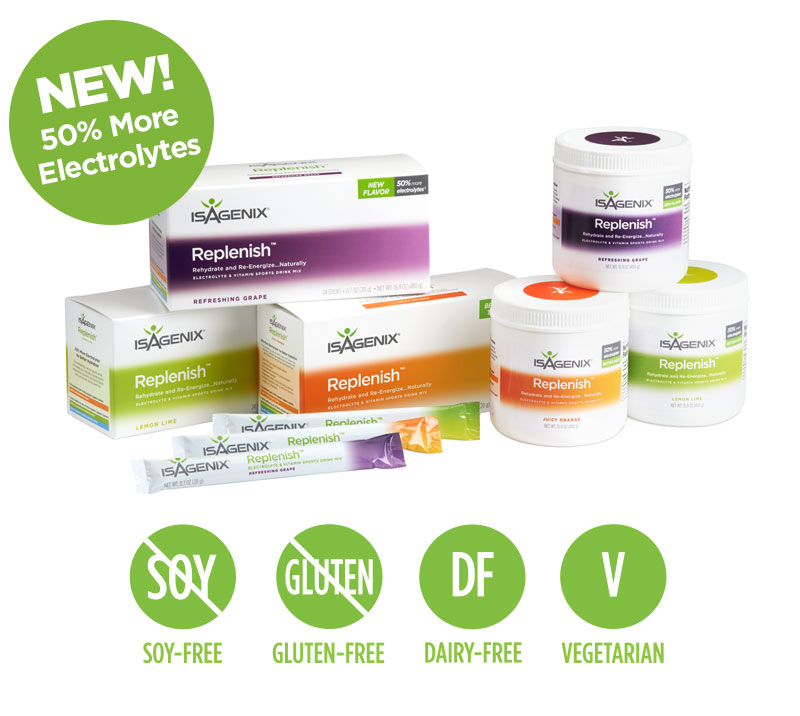 Give yourself a great-tasting, nutrient-rich meal you can have on the run! 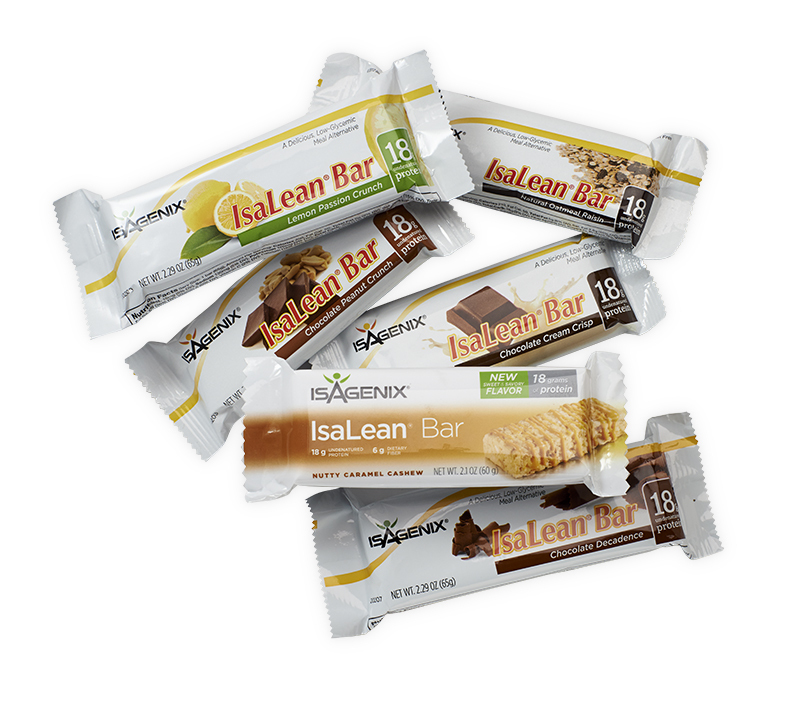 IsaLean Bars are a delicious, easy and perfect for that quick meal on the go. If you’re looking for a lower-calorie meal, but don’t want to sacrifice taste, IsaLean Bars are an great option. The perfect high protein 18g, low glycemic, low calorie snack.